Got some time between 5.30 – 8.30 p.m. on Friday 22nd September? Then why not come along and see me at the Ballyhaunis Enterprise Event. 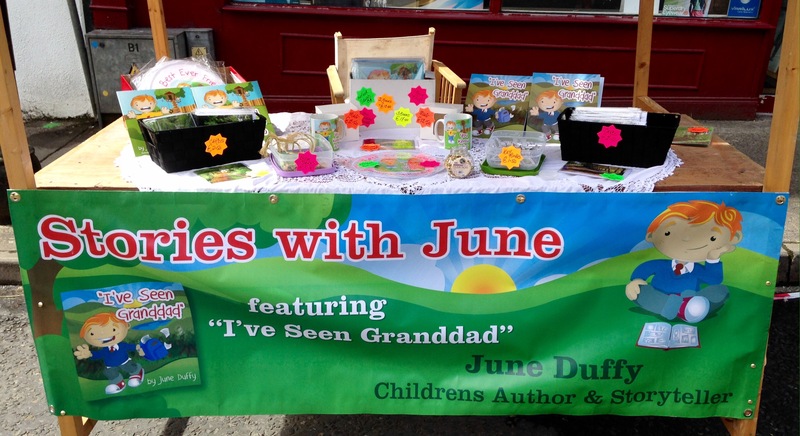 Its being held at Scoil Iosa Primary School in Ballyhaunis, and I will be there with my books and gifts. I shall also be available to take bookings for storytelling events. I had a mighty day catching up with friends and neighbours. Despite the weather, Ballyhaunis Fair Day turned out to be a great afternoon. It was all about the people, the activities and the craic.